Image created with Canva, linked to creation source. Individual pictures linked below post. Thank you. Thank you for reminding me of just how much magic comes in the form of words, and for helping me reconnect with a part of myself with which I've lost for the past several years. Thank you for re-instilling my hope that one day I will be able to be myself again, free from the worry of these current battles, and thank you for reminding me magic exists in the day-to-day life of each and every person willing to let it in. 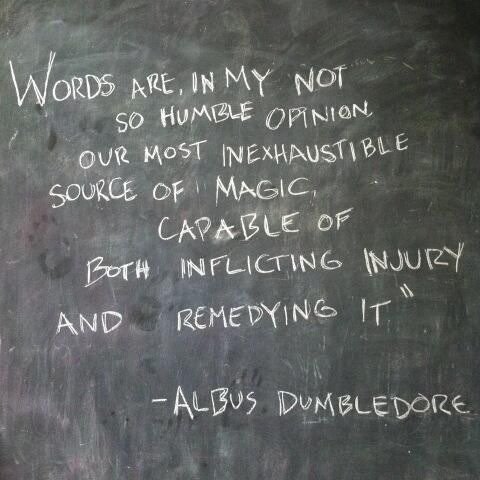 Thank you for reminding me that words, and their magic, can indeed heal. I suppose I should explain why exactly this post had to be written–I'm sure you get millions of "thank you"s on a daily basis, and I want to clarify: this isn't your average thank you...or even the one I would have written after finishing Deathly Hallows in 2007 (reading non-stop, from when I picked it up at midnight until I read the last line...only pausing to cry a record number of times) after growing up with the series. And it's not even the one I would have written in 2011 after I witnessed the original Harry Potter storyline come to its finale on the big screen. This thank you comes from a place so deep inside my spirit I wasn't aware it existed (or still existed). I'll give you a quick quick summary, since most of my information/personal journey can be found here on this site. I have been fighting chronic neurological Lyme Disease and multiple debilitating co-infections, un/misdiagnosed for 20+ years, finally diagnosed in June of three years ago, and have been bedridden the majority of the time since then. Once Lyme et al had sidelined me, at first I was actually optimistic, thankful for a diagnosis, knowing it would be a long road ahead but I had hope. As these 3 years have passed, I've noticed my optimism is harder to find. My happy is less frequent and my smiles fewer than before. In 2011, I graduated college with a degree in English Literature and Language and a minor in Creative Writing. 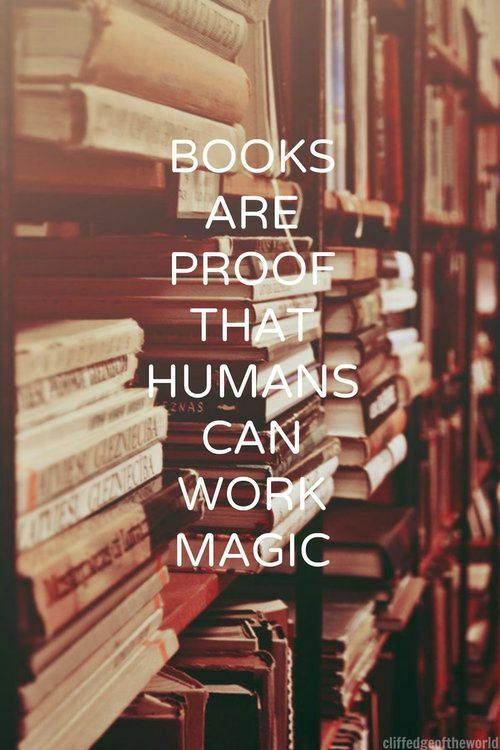 It made sense; in many ways, books, words, and language were my first loves. As a kid, I read incessantly. I was never without a book; no matter where I went or what I was doing, chances are I'd have a book with me in some way. Ditto a journal and writing utensil (pens, of course, no time to take a break to sharpen pencils). I even got called out in school for reading during lesson times...something of which I'll never be ashamed (didn't even get embarrassed in my middle school years when told to put my book away in the middle of a biology lesson). Growing up, my summers were filled with an exorbitant amount of indoors-time compared to most other kids (though I did play outside as well, as our neighborhood was filled with close-knit families with kids, most of whom are still friends to this day), reading through my personal library–specifically, going through the Harry Potter books that had been released up to the date/year of any given summer, rereading each multiple times throughout my summer break to satiate my appetite until the next title was released. Once I picked up a hardcover collection of pages about Harry and the gang, there simply was no putting it down until finished. One of the hardest losses I've suffered as a result of chronic Lyme and its friends attacking my body is the loss of my ability to write, and even more so, to read–be it novels, articles, comic books, even magazines or a buzzfeed quiz...basically anything with paragraphs or text that is close together or in paragraph form (the full list of abilities it strips away is far too long to type here, but feel free to check out my FAQ page if you're curious). The last book I was able to complete was in April–over three years ago–two months before I finally received an accurate diagnosis, and right before Lyme et al. completely commandeered the part of my brain that can read, process, retain, and make it through a novel, an article, a comic book, my own blog, and sometimes even a short 140-character tweet, as mentioned above (years ago I could have written this in a fraction of the time I can now). Naturally, this is not a happy occurrence for a reader/writes/logophile; it's discouraging. I always advocate not wearing a Facebook-Facade-Phenomenon mask of "I'm fine" when you're actually not fine, so I say all of this in the interest of transparency, hoping maybe someone will be able to find comfort in this letter, knowing they're not alone. Sometimes things are discouraging, and this is just one of those things, as first-world as it may be. There's an empty space in my spirit, my soul, my very being, when I'm unable to read or write. The frequency and quality of my posts here alone have decreased as my body continues to fight against itself with more fervor than Molly Weasley in the heat of the Battle of Hogwarts, while these infections have cast an imperius curse on every cell in my body, wreaking havoc whenever, wherever, and however, they so choose. ​When I first learned the Harry Potter and Cursed Child screenplay would be released in hardcover book form, I was filled with nostalgic anticipation, excitement, and pure, heart-smiling joy, while simultaneously feeling an ache penetrating my heart to such a degree of I couldn't put the pain to words if I tried. I told myself that very day: I am going to get the book at midnight, somehow (even though I can't leave my bedroom, much less house), and I will be able to read it, even if I have to take it literally one sentence at a time, even if it takes me 19 years to get through it. In my mind, despite knowing I can't currently read books in the traditional sense (don't get the wrong idea, I've tried countless times over the past 3+ years, my efforts have just been unfruitful and frustrating, reminders of who I once was, and reality check reminders of what my new-normal is for now, until the healing God has promised is delivered) I was going to find a way to read this one, by Dumbledore! Until this book release, I had never missed a midnight book or movie release party, even if I was the only one at the store (in college this happened once because I drove to Walmart and made them open a box of DVDs of HBP at 12:01am when that film came out to own). We went all out for Potter parties at our house (and my cousin's house/local bookstores and theaters), which included games, Potter-themed food, costumes, and more. (see slideshow below, selected pictures from our last book AND movie releases/parties: Deathly Hallows book release party/midnight book pickup, 2007; snapshot of ticket for DH Part 1, which I saw in college, 2010; and then all pics of our DH Part 2 party Rog and I hosted as newlyweds, before the midnight premiere in 2011 (and yes, I know nowadays I wouldn't/can't go near the food we used for HP-themed snacks due to Lyme diet restrictions, but it was fun at the time!). The temporary loss of ability to write as I once could has been a hard pill to swallow, which is saying a lot since treatment requires physically swallowing fistfuls on a daily basis, just to exist. More times than I can count throughout my life, writing–whether it's journaling, working on a short story or paper for classes when I'm school, outlining a plot, or even composing a short blog post (let's be honest, succinctness isn't my prowess)–has been a vital part of maintaining my sanity...and I don't use the word 'sanity' cavalierly. ​Being one that has not only/is not only fighting multiple physical health battles, but who has also been fighting mental health issues to some degree, often severely, essentially my entire life (a lifelong battle with frequently debilitating levels of obsessive-compulsive disorder, and from 2003 to present, the constant waxing and waning of cycles and the roller coaster rides that are anorexia, depression, social anxiety, generalized anxiety disorder and anxiety/panic attacks, acquired agoraphobia*, and more), I make an effort not to use terms like "crazy," "normal," "sanity," "depression," "OCD," or even just "sick," etc. unless it accurately applies. ​It's the off-hand usage that gets me. I see many use it when they're discussing trivial things and possibly/likely (though I try not to make assumptions) aren't actually suffering from the mental health issue they reference so casually when Starbucks adds 2 shots of espresso instead of 3, leading to the customer mentioning how s/he's now "depressed" because there's not enough caffeine. (But this is an entire topic in itself, and I don't want to use my letter to you as a soap box for that topic). My dad has insisted for 15+ years–ever since I first fell in love with the boy who lived, as did the rest of the world–that he (dad) "can't wait until [I] write the next Harry Potter series." He claims and fully believes, with the confidence only a father can have in his daughter, "I know you're going to write the next big bestselling book, just wait and see, I know it's going to happen." I love my dad immensely, and it'd be a lie to say his idea has never crossed my mind–it's actually been simmering in my imagination even before I wrote a ~60-page story by hand when I was 12, saturating each page in my notebook, front and back, ink bleeding through, with nearly illegible scrawling only I could decipher–my brain just couldn't keep up with my hand. ​I mentioned I'm currently bedridden, and this is due to several physical and mental factors, countless types of pain, yes, but also many neuropsychiatric issues as well. Just one type of pain that prevents me from being able to open my right eye and causes a constant fire-water sensation on the entire right half of my head/face/neck (trigeminal and occipital neuropathy) as well as an ever-present, never-leaving headache, usually in the migraine range and behind both eyes. ​And on the neuropsychiatric side of things, all those listed above are diagnoses, but one of the most difficult of which is anxiety. The anxiety prevents me from even having my bedroom door open do to panic attacks that occur when I see an open space such as the hallway...and I'm much less able to open my blinds or pull back my blackout curtains, because the outside world makes my heart race, triggers anxiety, and again, a panic attack ensues. Anyway, the point of this letter I think can be summed up in the slideshow below, but I'll briefly summarize what led to the pictures you will see. Leaving out the unnecessary parts of the explanation, I want to mention that my younger sister was, in fact, able to go get her copy of Cursed Child at midnight here in town...and she was kind enough to also pick up two other copies, one for my husband and one for me–major WIN from my sis, who always attended aforementioned parties and midnight celebrations with me, one of our very favorite memories of all-time being the OOP midnight book release party we attended together with our parents in 2003 (we left for Disney world the following morning). Kat (my sister) dropped our books off around 12:15am. I had intentionally not taken my nighttime supplements that help me sleep (when my body cooperates) so I could try to read the book that night. I even told myself, "Bec, if you can get through one line, one sentence, that's a major breakthrough/success! If you make it through an entire page, or heaven forbid, an entire scene, there's no feeling that will compare (I'm obviously excluding worshiping Christ here because THAT feeling, feeling His presence, is truly the feeling to which none other can compare). Well, Jo, I just want you to know that as soon as my husband brought my book into the bedroom I instantly burst into tears of gratitude and overwhelming joy. My heart was so ecstatic to see that hardcover with "Harry Potter" emblazoned atop the dust jacket and on the spine, in its trademark font. I then proceeded to make a tent with my blanket, underneath which I had my book and flashlight (just to channel the memories for a moment, although the "flashlight" is not an app on my phone, instead of a maglite). I read. And I read. And before I knew it, I was finished with Act 1 and it was nearing 2:00am. My reading speed may not be what it once was, but I chose not to care, I chose to read. I decided months ago I was going to do it, and by making that conscious choice/goal, I was more determined than ever. The speed with which I was able to read act one (you'll see it marked by the dust jacket-bookmark in the slideshow of pictures following the post) took me completely by surprise, and even though my body wanted to give up, I refused. Around 2:42pm yesterday (happy belated birthday, Harry! ), I finished the book and the very fact I finished it is one of the biggest reasons to give praise to God above! I know Harry Potter is written so that children can access the narrative, even though there's a whole treasure trove (more than any Gringotts vault holds) you discover reading them as an adult. And the cool thing? For several hours in time, as I read, I was in that world. I felt the magic. I heard the lines being spoken. I was in that world. I'm currently still trying to recover (this has taken 6 hours and counting to write), and my body is worn down and out of any energy it had in its reserves for this upcoming month, but it was 100%, capital T-Totally worth it. Worth the magic, and worth enduring this crash (which will recommence after I hit publish on this post). So my sincerest thanks, J.K., for proving right the quotes at the very beginning of this post, as well as letting me experience the power of choice over ability (when physically able), and to your co-writers for the screenplay – I was initially worried I wouldn't be able to keep up, but the script format actually broke the story into small readable lines/sentences and rarely had a long paragraph that wasn't at least Brooke up by a stage direction, etc. 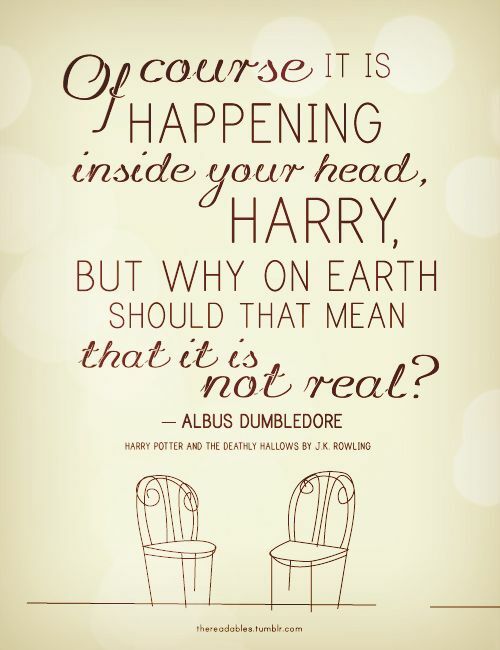 The power of the mind is a great thing, the power of words even more magical, and the world of Harry Potter and all things related is one of the greatest gifts through which the human soul can be recharged...just by connecting to our favorite Wizarding World. 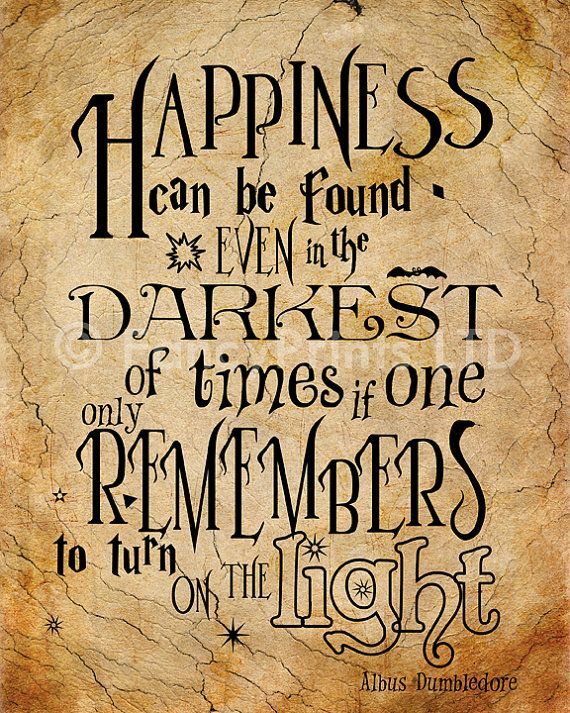 And one last thank you, J.K. Just for being you and for sharing your love, joy, and kindness–and your inner world–with us muggles who have a deep love for the characters, places, and events of that world, and who fully embrace the (surprising) ability to temporarily escape illness and experience joy while hanging out at Hogwarts.